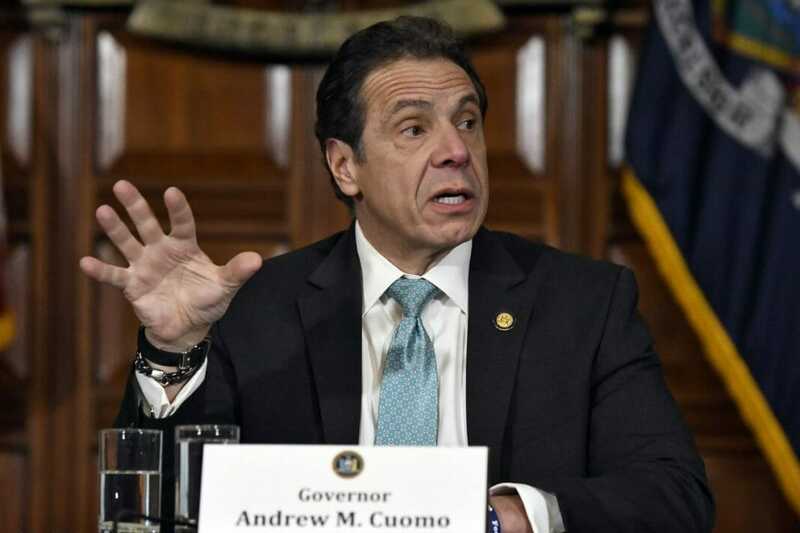 Soon after winning a second term in 2014, Mr. Cuomo banned hydraulic fracturing in the state’s southern tier that lies atop the rich Marcellus Shale deposit. Upstate New Yorkers lost out on fracking’s enormous economic benefits while neighboring Pennsylvania reaped thousands of jobs as well as increased government revenue and landowner royalties. Then in 2016 Mr. Cuomo blocked a 124-mile pipeline to deliver natural gas from Pennsylvania to New York and New England. The pipeline would have allowed millions in the region to convert to natural gas from dirtier and more expensive heating oil, which would save an upstate New Yorker about $1,000 a year. Due to Mr. Cuomo’s natural-gas blockade, New England during the winter must import liquefied natural gas from Trinidad and Tobago, which is far more expensive and emits more carbon than shipping via pipeline. (The 1920 Jones Act precludes fuel imports from the Gulf Coast, but that’s another editorial). Power plants that typically run on natural gas must also switch to oil during cold snaps due to high demand for and inadequate supply of natural gas. Editorial Board – Wall Street Journal – February 4, 2019.